What should you know about Advent? Advent weeks are the best proof that just waiting for the holiday is even more beautiful than a holiday itself. These dark weeks of winter are filled with warmth, coziness and magic from childhood. If you are going in December to one of the countries where the Advent period is celebrated, this information will be interesting for you. Do not forget to organize your trip beforehand- hire a car. Advent (from the Latin. Adventus – ‘parish’) is the name of the pre-Christmas period, celebrated among the Christians of the Catholic Church, similar to the period of the Nativity Fast in the East. Advent is a waiting time preceding the feast of the Nativity of Christ, during which Christians are preparing for the feast. The first day of Advent in the Roman rite is defined as the 4th Sunday before Christmas (depending on the year, this Sunday falls from November 27 to December 3). from December 17 to December 24 (Novena – nine days of Christmas pre-celebration) – is a direct preparation for the celebration of Christmas and it is dedicated to the memory of the First Coming of Jesus Christ into the world – the Incarnation. All Sundays of Advent are equal in importance to the great holidays, and if any other holiday falls on Advent Sunday, it is postponed to Monday. The first Sunday of Advent is considered the beginning of a new liturgical (church) year. 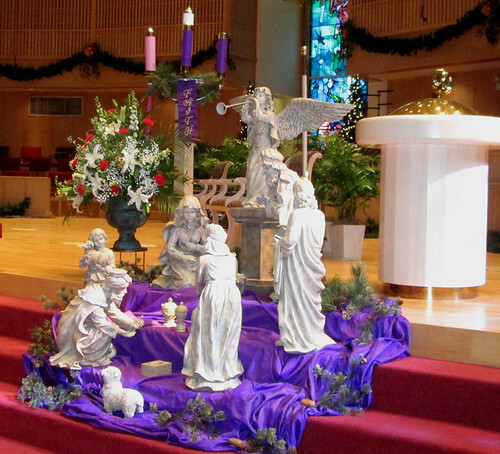 Each Sunday of Advent is dedicated to a specific memory, which corresponds to the Gospel readings during the service. the fourth is dedicated to the events immediately preceding the birth of the Son of God and the special place of Virgin Mary in the mystery of the Incarnation. At the first Sunday of Advent, the first candle in the Advent wreath – the candle of Prophecy – is lit. It symbolizes the Old Testament prophecies of the coming of the Savior. There are two spiritual meanings of Advent. First of all, this is the period of preparation for the celebration of Christmas; secondly, the Church during this period in a special way encourages believers to reflect on the theme of the future second coming of Christ. The first evidence of pre-Christmas time celebration dates back to the year 380. One of the best-known traditions of Advent is the “Advent wreath”. This is a wreath made of fir branches, into which 4 candles are woven. One candle is lit of the first Sunday of Advent, two candles- on the second, and so on, that is, it becomes brighter every week. With such wreaths are decorated both churches and houses of religious people. The Advent calendar (or holiday waiting calendar) was invented in Germany in 1903 by Gerhard Lang. When he was a child, on the eve of Christmas his mother baked 24 meringues and attached them to cardboard, so that her son would know how much was left for Christmas Eve. When Lang grew up and became the owner of the printing house, his company was the first in the world to release an Advent calendar with 24 multi-colored Christmas themes. On top of poems, children were able to stick pictures of dancing bakers making pretzels, and angels working in German mail. In 1920, the publishing house developed the first calendar with opening doors and patented its invention. 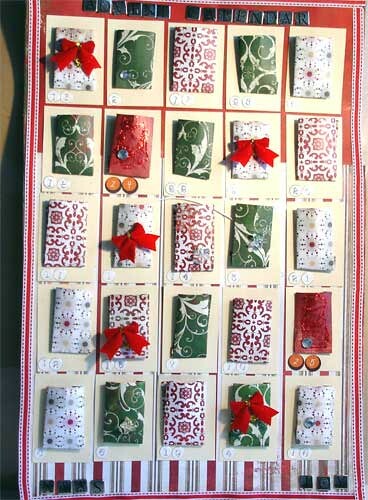 The most familiar form of the Advent calendar is a box with 24 opening windows, containing chocolate-made figurines. It is called “New Year’s set” and it can now be bought almost in every grocery store in Europe. Moreover, you can find different types of the calendar. For example, residents of Scandinavian countries, with their inherent sense of humor, make the Advent calendar in the form of a pig, without which the Christmas dinner could not be imagined. In the big potato, they stick matches by the number of days of Advent, make legs out of sticks, a small tail is made of swirling wood chips and a muzzle is made of cardboard with a pink heel. There is another tradition associated with the period of Advent, which is called ‘the Christmas stairs’. This is an unusual staircase. Most often, it is arranged in Sunday school classes. Ideally, these are steps that correspond to the number of Advent days. At the very top of the stairs is the Star of Bethlehem, and at the bottom – an empty manger with hay. On the steps, there is a figure of the infant Christ. Day after day, as Christmas approaches, this figure moves down the steps to be in a manger on December 25. Like the Advent calendar, this kind of ladder helps kids to clearly feel the approaching joyful holiday. Advent calendars are very popular in Europe today. You can also make a calendar yourself. The easiest way is to draw a calendar of December on a large sheet of thick paper and hang a bag with a souvenir on each cell (these can be gingerbread, small toys, New Year cards or Christmas-tree decorations). For older children, these can be some simple tasks (to cook hot chocolate, to learn a winter poem, etc.). This will help the child not only to realize how much time is left before the holiday, but also to have time to prepare for it.